When ye are in the service of your fellow beings ye are only in the service of your God (Mosiah 2:17). Imagine that you are asked to keep a written record of the people of your country and to also write a shortened record of over one thousand years of their history. While you are doing this, your people are at war, and you must often hide to protect your writings. You may not use a typewriter or computer but must inscribe on metal plates so that your record can be safely buried in the earth. Mormon kept a history of his people, and he also abridged, or shortened, the writings on the plates of Nephi. Because of this, his writings are called “The Book of Mormon.” You may never be asked to do what Mormon did, but no matter what hard things you face, you can be a valiant servant like Mormon. 1. Enlarge pictures, and have children hold them out of sequence. Tell story, and have children arrange pictures in the correct order. 2. Provide copy of page for each child. 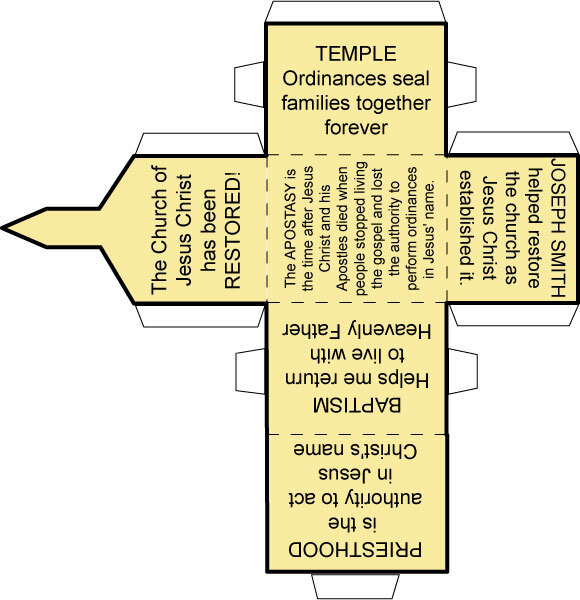 Discuss with them Mormon’s service as they cut out pictures and glue them in correct order on colored paper. 3. Using dictionary, define valiant. Make chart with headings WHO and WHAT. Put Mormon’s name under WHO chart and have children tell what he did that was valiant. Add other Book of Mormon characters throughout year. Add names of valiant people whom the children know. 4. Sing related songs, such as “Called to Serve” (Hymns, no. 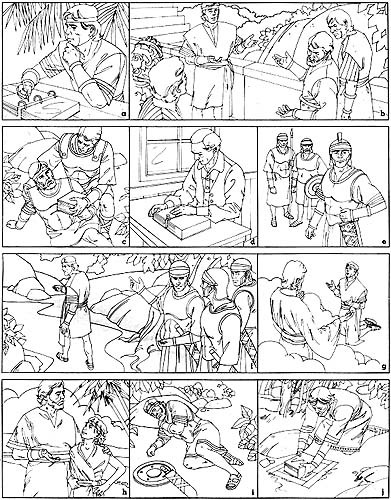 249) and “I Can Be Valiant” (Supplement to More Songs for Children, page 9). 5. Explain abridge by reading complete story to children and having them retell important parts in shorter version.